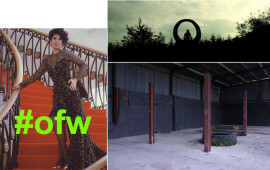 Images by previous a-n bursary recipients: (clockwise from left) In 2015 Vanessa Scully was among the 21 artists who received a-n Venice bursaries to attend the preview week of the Venice Biennale; In 2014, Andrew Martyn Sugars received an a-n Go and see bursary to research the development of Belper Parks Art Walk; Susan Francis received an a-n Re:View bursary in 2013 to facilitate critical dialogue around her work. 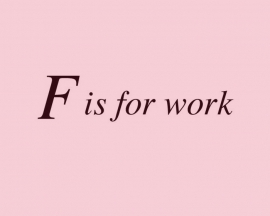 Amelia Crouch, F is for work, video. Crouch was a recipient of the first round of Re:view bursaries in 2013.